Country music artist Randy Houser kicks off the New Year with the debut of his latest album, 'Magnolia.' Learn more about the new record here! 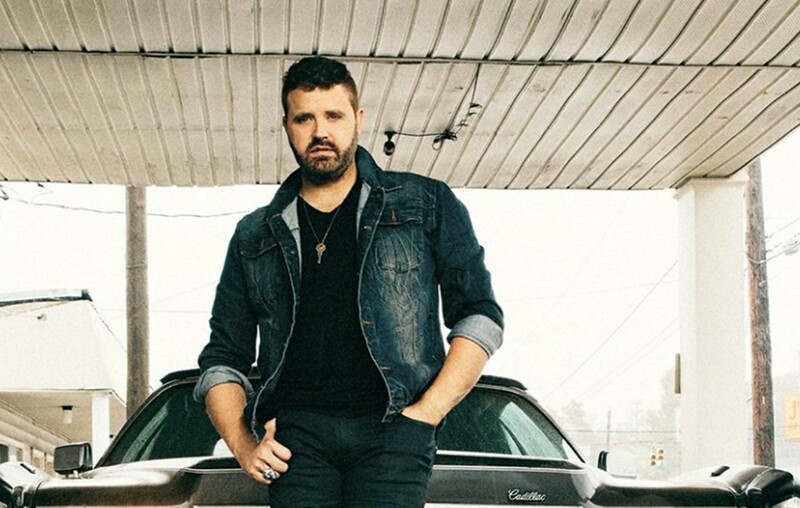 Randy Houser is starting off the new year with a bang. Or should I say banger? Randy recently released his new album Magnolia, inspired from the nickname of his home state Mississippi, on January 11th with Stoney Creek Records and BBR Music Group. Before his release, he gave his fans a sneak-peek by performing one of his favorite songs off the album, “No Stone Unturned” on Good Morning America. If you were up early enough, you could have seen him rocking the stage at 8 AM. You know what they say, the early bird catches the first hit single of the year. The Magnolia is finally in full bloom!!! Very proud to share this project with everyone. Check it out and let us know what you think. Link in bio to download and stream! In order to kick-off the highly anticipated release of Houser’s new album, he rounded up some of his pals and favorite collaborators and performed the entire album Monday night in Nashville. His Blue Room performance was accompanied by a variety of beloved artists including Jamey Johnson, Hillary Lindsey, Jessi Alexander, Jaren Johnston, and more. And he didn’t stop there. His next stop was Los Angeles where he performed at his iHeartCountry Album Release Party on Wednesday, January 9th. The party was hosted by one of Houser’s best pals, Big Bang Theory‘s Johnny Galecki, who was also seen playing the drums in “No Stone Unturned” during the show. The party later featured a conversation between Randy and Johnny along with live performances of songs off Magnolia and other previous hits. The show broadcasted across Mainstream Country station and on the digital station of iHeartCountry Radio on January 14th. If you missed it, don’t worry! You can still see highlights from the album release party on iHeartCountry’s YouTube channel here or even a few on Randy’s Instagram. For anyone that missed my @iHeartCountry Album Release Party you can tune in TONIGHT! Tune in 8pm local time tonight (1/14) to your Iheart station! This album was created as a passion project where Houser’s mission was to make it his most authentic music project yet. Working on the album for almost two years, he spent his time in his backyard studio in East Nashville dedicated and devoting all of his energy into every detail whether it be the lyrics, artistry, or guitar work. The passion and hard work put into this project result in a purposeful, miry, and emotional original sound, accompanied by his soulful vocals that work to carry the compassion of the tones even further. Influence of his new sound stems from the combination of his native Mississippi blue-collar life and his recent period of life, producing a novel and pleasant vintage sound of Houser that you can hear all throughout Magnolia. Houser is not stopping at the album, however, he also plans on creating a film of the same name Magnolia. With Houser serving as an executive producer for the project, the film will feature several live performances done by Houser himself. Several of the videos have already been released including, “No Stone Unturned”, “No Good Place to Cry”, and “What Whiskey Does”. You can find the trailer for the film project here. The films release date will be announced in a couple of weeks so be sure to keep an eye out for that gem! Make sure to share with other Randy Houser fans!